The new Gault Millau WeinGuide Deutschland – for 2019 – was published on November 13, 2018. It reviews on about 1000 pages more than 11.500 wines of 1065 wineries. Its rating symbol is a grape and Germany’s best winemakers are awarded one to five grapes. Gault Millau WeinGuide Deutschland 2018 (translated by CS): "Grab and let go, Fritz Keller can do both. With heart, hand and intellect, he has made his father's winery even bigger. Now he confidentely puts it into the hands of his son Friedrich. 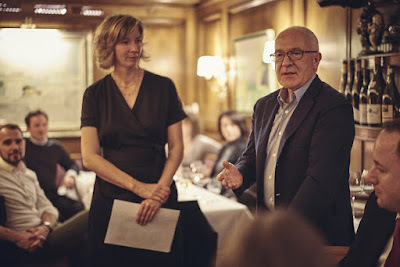 Together they continue the story - the wines are more expressive and personal than ever", the Gault & Millau honors the duo. And further: " In terms of elegance and expression, the collection presented this year surpasses everything that this winery with a long tradition has shown so far. It testifies to the knowledgeable and courageous hand of Friedrich, who knows how to use the trust placed in him and the early responsibility with great confidence." For this achievement, the winery receives four out of five possible grapes. Gault Millau WeinGuide Deutschland 2018 (translated by CS): The estate can look back to over 750 years of winemaking tradition. With the Eitelsbacher Karthäuserhofberg, it owns a world-renowed monopoly vineyard. In recent years, it has lost a bit of its reputation. Thanks to Albert Behler, according to the editors, it is now experiencing a rebirth: "With prudence and foresight, Albert Behler brings a jewel of German wine culture back to sparkle." Once upon a time, the wines of the Karthaeuserhof were legendary - now they shine in new splendor and talk about their great past and bright future. " The Gault & Millau team awards three red grapes. 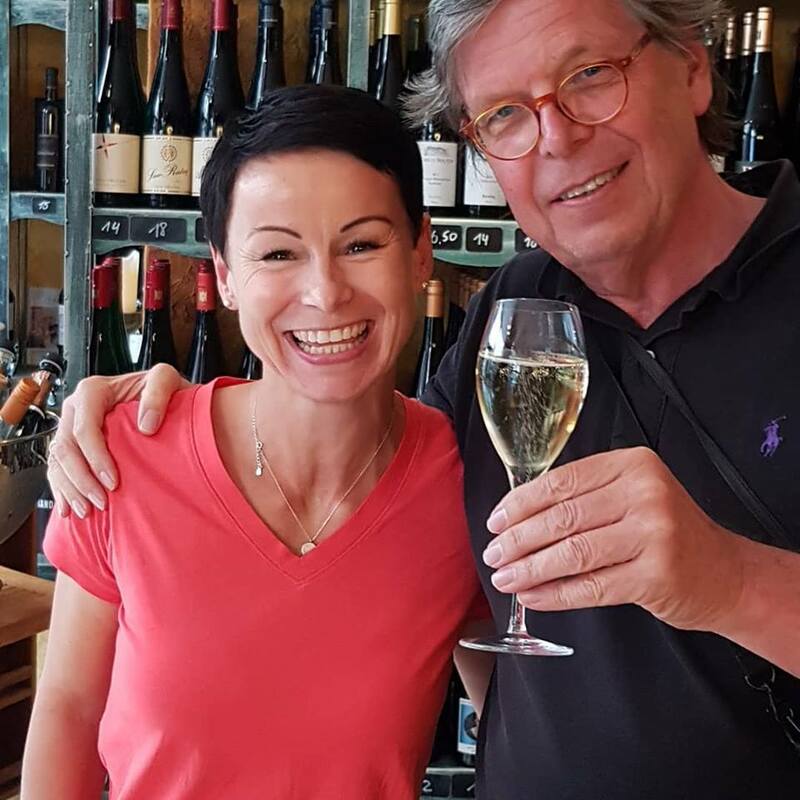 Gault Millau WeinGuide Deutschland 2018 (translated by CS): Simone Adams took over the family winery in 2010 after the unexpected death of her father and changed it quite radically. "With a keen spirit, crystal clear vision and great sensitivity, Simone Adams gives the Burgundy varieties a profile," says the editorial staff. 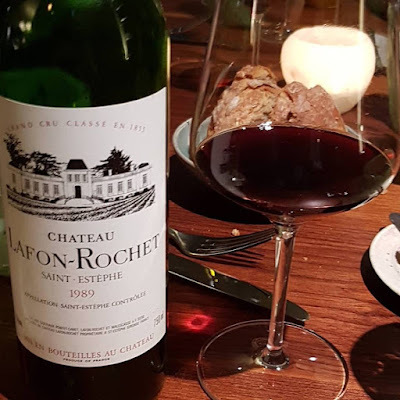 "She captures the Kalkboden terroir in her hometown of Ingelheim authentically and at the same time with a very personal handwriting - thus giving an old terroir a new expression.". In the Gault & Millau Wine Guide 2019 she receives three grapes. We all know about Frederick the Great, arguable the most important and beloved King of Prussia. To escape the formal ceremonies and pomp of the Berlin court he built a summer palace “Sanssouci” - basically more like a large, single-story villa than a palace - in Potsdam, outside of Berlin. Frederick the Great was very modern in his thinking and an aficionado of the arts and fine living. In his will Frederick the Great wrote that he wanted to be buried in the vineyard of Sanssouci but the twists and turns of history had it that he finally came to rest on Hohenzollern Castle in Württemberg. On August 17, 1991 (the fall of the Berlin wall in 1989 made it possible) on the 205th anniversary of his death Frederick's casket lay in state in the court of honor at Sanssouci, covered by a Prussian flag and escorted by a Bundeswehr (German Army) guard of honor. After nightfall, Frederick's body was finally laid to rest in the terrace of the vineyard of Sanssouci – in the still existing crypt he had built there – without pomp, in accordance with his will. There are 3 vinyards in Sanssauci. Frederick the Great was a great lover of dessert fruit. Fresh fruit were a must at any of his meals. Therefore he had three terraced vineyards built in three places in Potsdam between 1744 and 1769, where table grapes thrived alongside peaches, apricots, apples and other fruits: Wüster Berg, Mühlberg and Klausberg. We visited the latter. Andreas Kramp, project leader, was our host at the Königlicher Weinberg Klausberg. Andreas Kramp took us on a tour of the Königlicher Weinberg Klausberg and then sat down with us for a tasting of the wines of the Königlicher Weinberg Klausberg. After the visit of the Königlicher Weinberg Klausberg, we toured other parts of Sanssouci. On the 10th of August 1744, Friedrich ordered the building of a terraced vineyard on the ridge called “Wüster Berg” (Desert Hill). The terrace levels of the vineyard were symmetrically arranged as a Rococo Garden. Under the direction of the architect Friedrich Wilhelm Diterichs the southern slope was divided into six broad terraces with their walls arching to the inside in order to achieve maximum utilization of the sunlight. On the surfaces of the retaining walls, even brick walls with trellises with local fruit and wines alternate with 168 glass-covered niches in which exotic fruits were growing. The terrace surfaces above the walls were bounded by strips of grass and planted with espalier fruit trees. Between the 96 pyramid-shaped English yews, 84 orange trees in tubs were standing on the terraces in the summer months. Philipp Friedrich Krutisch was entrusted with the horticultural works. On the central axis 120 (now 132) steps lead up the slope. In 1746 the works on the vineyard terraces were mostly completed. Over time, however, numerous changes were made. Between 1979 and 1984 the terraces were restored to their original structural condition. Today, figs and Reseda vines grow on the terrace walls, but he vineyard terraces are now used for mere decoration. From the grapes growing here no wine is made any longer. In 1763, Frederick the Great started to build a new garden on the land below the Mühlenberg (Mill Hill), on which there was a clay pit up to that time. The garden was built on a south-facing slope featuring four 67-metre-long terraces. Due to the soil conditions, the architect Johann Gottfried Büring calculated a foundation depth of 28 meters and a cost of 29,000 thalers. Ultimately, the costs increased to 36,000 thalers. Behind glass-panes and on Trombe walls, grapes, peaches, apricots, figs and apples were ipening. The garden was fully integrated into the royal court life. During the modernization of the terraces in 1848 directed by the garden director Peter Joseph Lenné, the lowest terrace wall was covered by an exposed brick wall with two fl ights of stairs at its centre featuring a monumental head of Bacchus. Between 1848 and 1852 the vintner’s house was converted into an Italianate villa. The architecture enthusiast, King Frederick William IV, had the idea to build a monument of Frederick the Great in the form of a temple on the top. Ultimately, only the Triumphal Arch was implemented. Built between 1850 and 1851 according to plans by Friedrich August Stüler, it was intended to upgrade the architecture of the Winzerberg (Vintner’s Hill). After World War II, the site fell into decay for decades and was considered partially not restorable. However, since 2004, the Bauverein Winzerberg (Building Association Vintner’s Hill) in collaboration with the Foundation Prussian Palaces and Gardens Berlin-Brandenburg has been strongly committed to its reconstruction. In 2012, the first 100 ancient table grape-vines were planted. In 2013 the first harvest was brought in. The development of the third active Potsdam vineyard was started in 1769 with the horticultural use of the Klausberg hill, which at the time was outside the park of Sanssouci. In the 19th century, the Belvedere was built on the hill to mark the western end of an elevated triumphal road planned by the Prussian king, Frederick William IV, which was to stretch from the Winzerberg (Vintner’s Hill) over the Court of Honour of Sanssouci Palace, past the new Orangery Palace up to the Klausberg hill. On the southern slope, a terraced garden was built. It was enclosed by a wall and featured glasspaned Trombe walls (built to store the heat of the sun) for growing peaches, apricots and apples. The Dragon House adjacent to the vineyard was intended to be theg ardener’s home. Until 1918, the garden produced exquisite fruits and grapes. Since 2003, after decades of neglect and decay, there has been new life on the Klausberg hill. In 2007 the Mosaik Werkstätten für Behinderte gGmbH, a charity providing work for disabled people, took over the horticultural care. The horticultural activities here now open up new prospects for people with disabilities as well. So far, ancient vine varieties were rediscovered, new fruit trees were planted and, last but not least, a wall trellis for the future educational pathway for grape-vine varieties was built. The dominating variety in this vineyard is Phoenix, a modern breed, arising from the crossing of the Bacchus and Seyval Blanc varieties. In the vineyard, it thrives mainly on the top Trombe wall downhill from the Belvedere on the Klausberg. Other varieties have been represented in smaller numbers so far. In 2008, the vineyard was reopened for the first time. In 2011 a sponsorship for vines and trees was started and the first wine was made in collaboration with the Töplitz winery. In 2012, the first Royal Wine Festival took place, which is now celebrated every year in early July. The number of bottles of the 2012 vintage is still limited to 200 half-litre bottles. They can be purchased in the museum shop in the former kitchen of Sanssouci Palace. A part of the proceeds will finance the rebuilding of the Royal Vineyard. The Borchardt is a Berlin institution. Politics, Press, Diplomats, ... it is here where they mingle over a perfect “Schnitzel”, “Tatar Brot” or other very well executed German dishes. The Borchardt looks back on a 150-year history. It was in 1853 that August F. W. Borchardt laid the foundation for a new dining culture that remains intimately associated with Berlin today. The main site of the Borchardt Restaurant in Französische Straße supplied the Kaiser in the Wilhelmine era and went on to survive the Second World War and the city’s division by the Berlin Wall. Our hotel, Hotel Gendarm Nouveau, was in walking distance from Restaurand Borchard. Hotel Gendarm Nouveau is a 4 star, quiet, small, friendly hotel in the Gendarmenmarkt area, the most centrally located plaza of Berlin. We celebrated the birthdays of Katharina Schiller-Suarez and her husband Diego Schiller-Suarez at Weinsinn, with two of Katharina's three sibblings. We had a nice selection of wines, both from the wine list and our cellar. 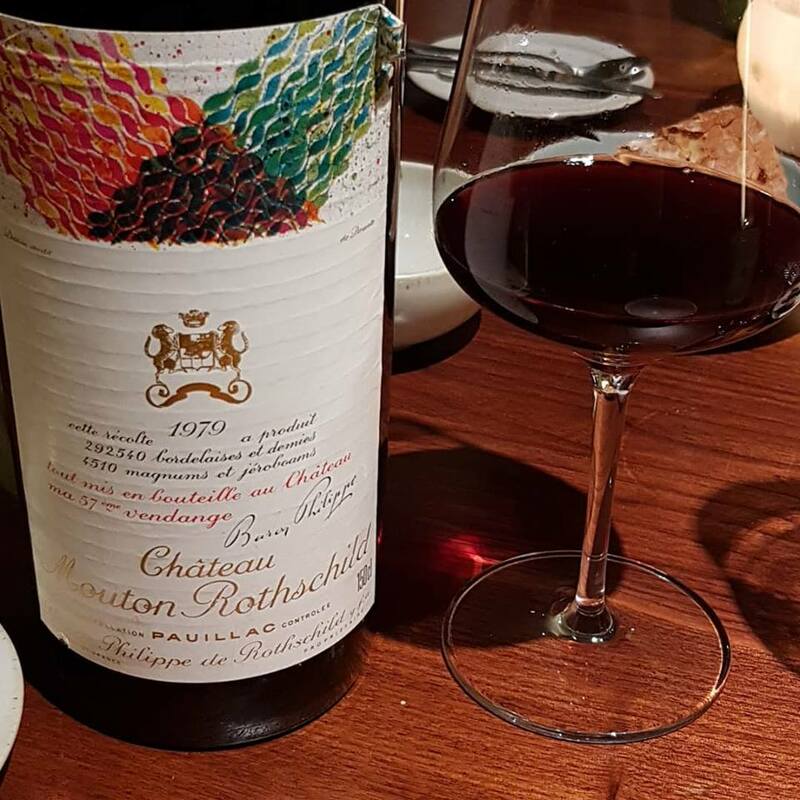 The star of the evening was the Château Mouton Rothschild 1979 Magnum. Matthias Scheiber and Milica Trajkovska-Scheiber opened Weinsinn 10 years ago in Frankfurt's Westend. Two years later they opened Gustav not so far away from Weinsinn. Both restaurants were awarded a Michelin star shortly after they opened. Last year, Weinsinn in the Westend had to close as the lease came to an end and Weinsinn relocated to the Bahnhofsviertel (Central Station Area). At the birthday dinner for Katharina and Diego, the new Weinsinn confirmed its leading role in the Frankfurt restaurant scene with a super meal, top wines and first-class service. The new Weinsinn is considerably larger and much more spacious than the old Weinsinn. The kitchen is large and an open kitchen (which is also much larger than in the old Weinsinn) where you can watch the crew prepare the food. 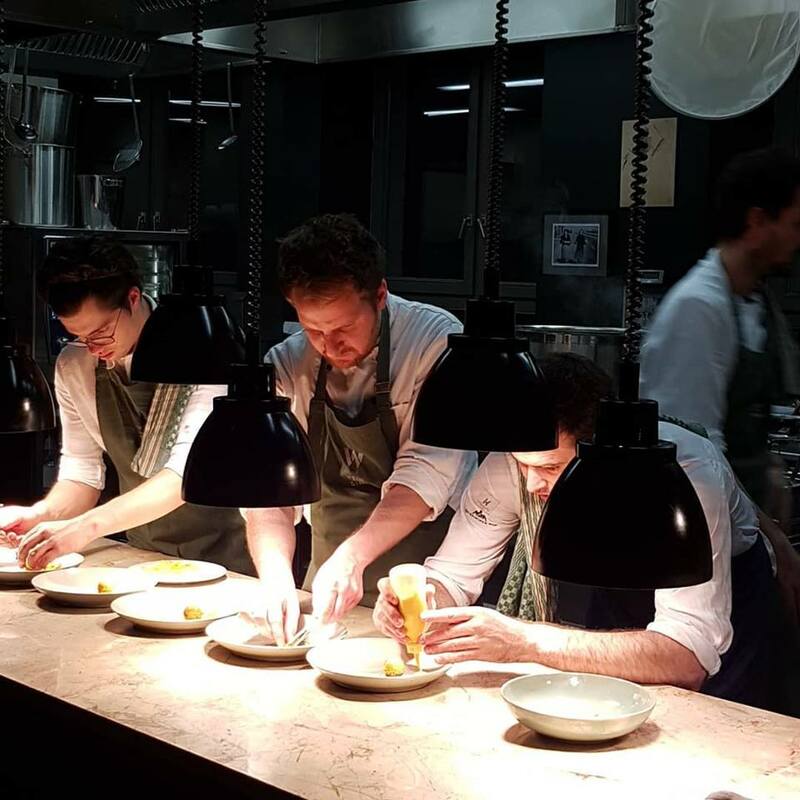 Julian Stowasser, who was for several years the Sous-Chef of the 3-Star-Michelin Restaurant Atelier in Munich before joining Weinsinn, is the Executive Chef. Weinsinn: New. Yet familiar. Sophisticated cuisine, consistent design and a relaxing ambience – this is what we had in mind when we opened Weinsinn in 2009. We were therefore delighted to see our concept meet with such positive feedback. After eight memorable years in Frankfurt’s Westend, we are now moving to the Bahnhofsviertel district by the railway station. Much of what we are taking with us will be familiar, while in some areas we have moved on. But the most important thing of all remains unchanged: your feeling at home and being able to enjoy the evening, ideally in good company. Welcome to the new Weinsinn! Weinsinn: Discover worlds. Up close. Diversity, contrasts and open-mindedness – the things that make Frankfurt unique are especially pronounced here. Paying us a visit in the Bahnhofsviertel district is worth it for this alone. Weinsinn is just a few minutes’ walk from the opera house and theatre on Willy-Brandt-Platz square, and the city and the River Main are just around the corner too. And as you are no doubt aware, Frankfurt is also just a stone’s throw from pretty much anywhere in the world. Weinsinn: Regional, cosmopolitan, open-minded. Weinsinn stands for a contemporary cuisine that focuses on local products and combines them with international accents. 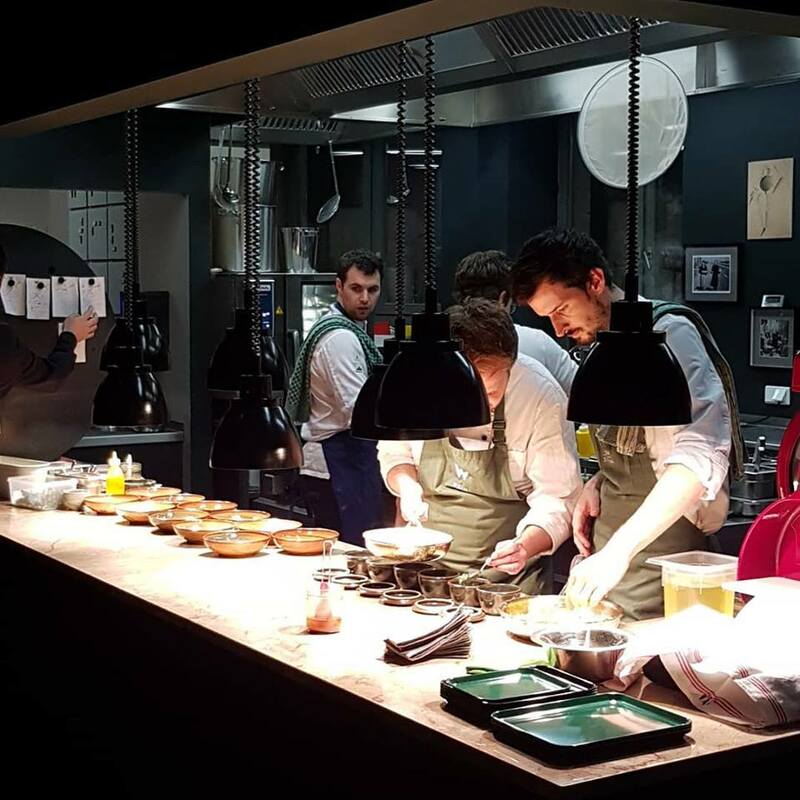 And more than anything else, we are open-minded: For the experimentation of our head chef Julian Stowasser. For the experience he contributes from his previous positions in Munich, Wolfsburg, Sydney and Baiersbronn. And to giving an insight into our craftsmanship, because the kitchen staff aren’t just busy behind the scenes at Weinsinn. Weinsinn: Every wine makes sense. There are more than 280 bottles to choose from on our wine list. And we have faith in each and every one of them, as we consider all of our wines to be especially expressive representatives of their ilk. From the beginning, we have focused on regional wines, including many representatives of the younger generation of winemakers in our list. Our sommelier Florian Bechtel will happily give you guidance in making your own discoveries. 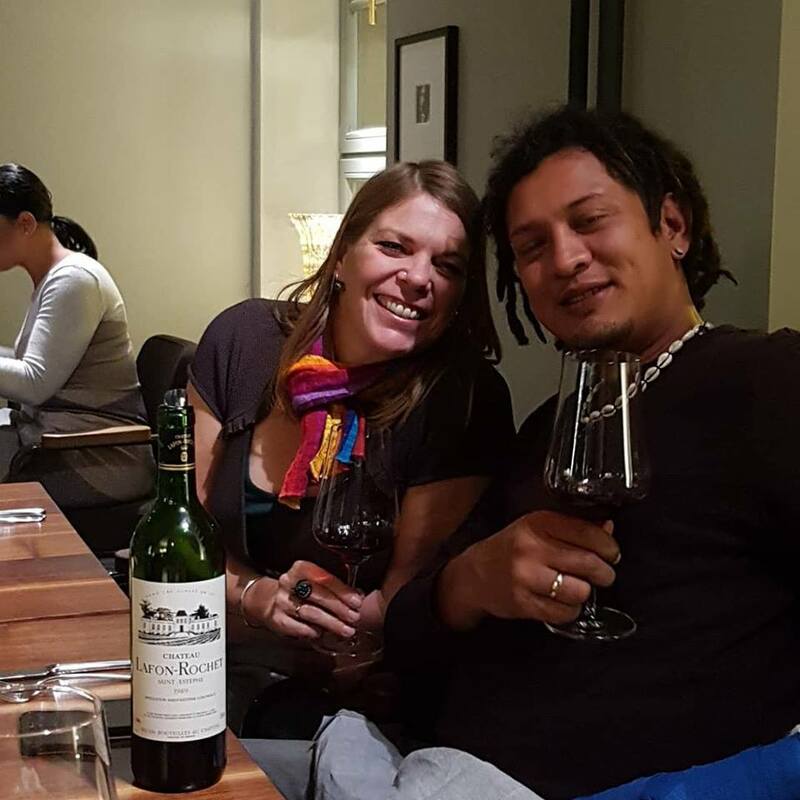 Our recommendation for groups of oenophiles and for an exclusive event is our Wein | Tisch held in the dark green semi-basement. Weinsinn is open only for dinner. The menu is small. You can choose between a 3-course (Euro 70), 4-course (Euro 80), 5-course (Euro 90) and 6-course (Euro 100) meal. Most of us had the 5-course menu, some the 4-course menu. Between the 8 of us, we ordered almost all the dishes that are currently offered.